Buying a new car can be exciting and open up a world of new adventures. When it’s time for a new vehicle, there are many things to think about. How much can I afford? How much does it cost? What are the payments? What is the rate? How long will I have a monthly payment? All are important considerations, in addition reliability, when purchasing a car or truck. Which one has the greatest effect on your financial wellness? Dealers often run financing promotions as low as 0% APR. Zero percent! 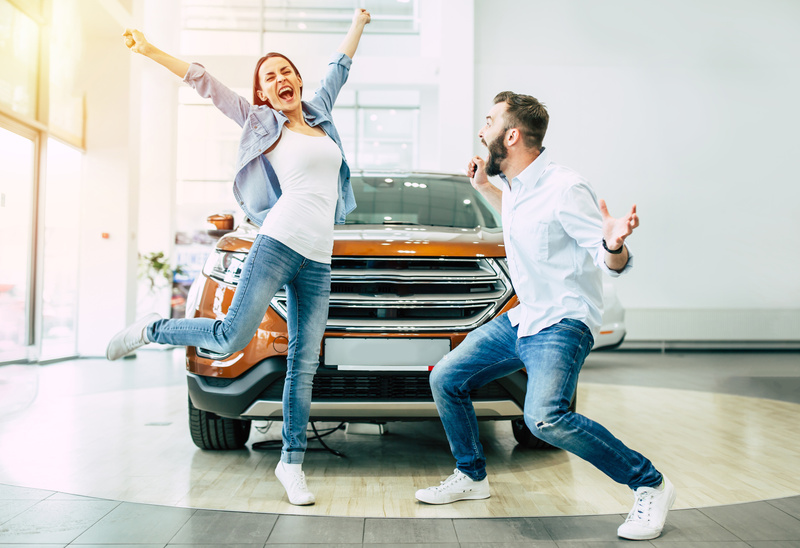 This sounds like a no brainer, but did you know that sometimes you can get a better price on the vehicle if you don’t finance it with the special offer? It’s a good idea to negotiate the price of the vehicle before discussing the finance options. Once you have the price of the vehicle locked in, then talk about the rate. If the rate is 4% APR on a $20,000 car loan for five years (60 months), your payment is $368.33 per month. If the rate goes up or down .25%, the payment difference is only a couple of dollars per month, not enough to break your budget so you need to look at the big picture. While getting the lowest rate is a good idea, there may be other factors to consider such as your relationship with the lender. What happens if you forget to make a payment or make your payment a couple of days late? What are the penalties? Are you eligible for any discounts for automatic payments? If you are in a car accident and the insurance check is written to you, the body shop and the lien holder, is it easy to get a signature from the lien holder? If you sell the car before it’s paid for, what is the process for retrieving the title? All of these factors could make it worth a couple of dollars per month. Speaking of payments, many ads lead with a payment amount such as “$199 per month,” and the fine print tells you the details. $199 per month might sound like a deal for your dream car, but how long will you be paying for it? As the price of vehicles has risen, the standard terms offered have increased. Several years ago, financing a vehicle for three years was common. Then it was four, then five and now, according to Edmunds.com. the average term for a car loan is 69.5 months! While stretching the term out can lower your payment, it also costs more in the long run. In the example above, a $20,000 loan at 4% APR for six years (72 months) offers a payment of $312.90, $55.43 less per month than the five year option, but almost $420 more over the life of the loan. Financing a car over a longer term carries other risks such as repair costs. Depending on the car and how much you drive, you could encounter high cost maintenance repairs while you’re still making a car payment. Another advantage to a lower term is that many lenders offer a lower rate for a lower term. Purchasing a vehicle can be an exciting time – it’s one of the biggest purchases you’ll make. Be sure to look at the total cost of the vehicle (price, financing costs over the life of the loan, routine maintenance, insurance costs, dependability, etc.) and how those costs fit into your budget before signing on the dotted line. At Allegacy, we have many loan options and lenders that are ready to help you make a financing decision that will fit your budget so you can enjoy hitting the open road feeling secure in your purchase. Visit a financial center or call 336.774.3400 today to get started! *All loans are subject to credit approval. The payment scenarios are examples only, actual terms and rates may vary.